Find out what types of mobility aids are available for your particular situation, how to choose what you need and how to pay for mobility products. Many disabled people only need the assistance of one of the many walking aids available.These generally are considered 'low tech' mechanical equipment that are easy to use and that are less pricey. Canes, walkers, and crutches are the main walking aids which those with impaired walking ability generally use to increase their independence. Of course, there are many variations of each of these walking aids and many features from which to choose. Wheelchairs, both manual and electric, are important aids to mobility for many handicapped persons. Without the proper wheelchair, many people would have no ability to move about freely. Today's wheelchairs come in many varieties and are designed for common and special functions by users. Manual wheelchair - A manual wheelchair is the basic model and is powered by the user when he or she pushes the wheels along by upper body strength. Powerchair - An electric power chair is a design that is powered by a gel-cel acid battery and controlled by the user with a joy stick. Sport wheelchairs - Sport chairs are those that are specially built for recreational enjoyment or for competition in a variety of sports activities. There are tennis sport wheelchairs, racing wheelchairs, and basketball wheelchairs, only to name a few. They are built for speed, endurance and easy maneuverability by the user. They are manual and designed to allow the user to push the extent of their physical capacities in a particular sport. Specialty wheelchairs - These chairs are designed to allow users to enjoy special leisure activities such as a day out at the beach or a good time at the pool. They are made with special wheels that allow for sand travel and are specialized to provide additional safety and functionality that a standard wheelchair would not provide. Other speciality wheelchairs such as shower wheelchairs are deigned for home use in bathrooms for the disabled. Standing wheelchairs - Standing chairs are great for use at home, the office or in other venues in which the user can stand as much as possible while using the power functions to move about. This type of chair encourages the use of the body as much as possible, which in turn, helps to keep muscles and bones strong. Motorized scooters - Scooters are a popular mobility product that is used both in and outside the home. They are battery powered and are streamlined to move about in narrow hallways, up and down grocery aisles or outside at your favorite flea market. There are many different sizes, features, and price ranges to suit any budget. Motorized scooters are a popular assistive device that is used by both those who have some ability to walk and by those who are completely immobile. The uses for scooters are varied and have proven helpful to the elderly who have limited mobility as well as to the seriously disabled. Stairlift - A very important home mobility aid is the stairlift that often becomes necessary in homes where a disabled person can no longer climb stairs. Many people install stairlifts in their current home because they don't want to have to move or remodel the home for better accessibility. A variety of stairlifts are designed to fit curved stairs, straight stair cases and stair cases with landings. There are different features, installation requirements and price ranges. Other home mobility products - There are, of course, other home assistive devices such as wheelchair lifts, handicap ramps, handicap elevator lifts, and platform lifts. Other commonly used handicap accessories for home use are particularly useful in accessible bathrooms, such as bathtub lifts and electronic toilet lift seat. The options for home handicap equipment is almost endless today and the technology is so advanced and efficient, that many physically challenged people can remain in their homes and enjoy a level of independence that was impossible only a few years ago. Mobility products and assistive devices for the home should only be chosen after medical advice and a personal assessment is realistically made of what you want to accomplish physically. Some are absolutely necessary for daily function, while others may be an added luxury, but not completely necessary. There are many things to consider such as type of physical impairment, level of mobility desired, independence considerations, type of maintenance required, installation requirements, and whether or not you have an adequate budget to purchase the equipment. For many who are on government disability assistance, there are Federally funded avenues for receiving the necessary funds to purchase the right handicap equipment for your situation. 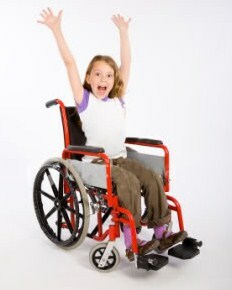 Medicaid provides equipment for the disabled generally at little to no charge if you meet their requirements. For the elderly who are retired, Medicare can provide some of the purchase price for equipment such as scooters or walkers. Those who have a secondary insurance policy to supplement Medicare, may end up paying nothing for various types of disability equipment. If you do not meet any of the above qualifications, some companies will allow you to set up a payment plan by which you can pay for the particular handicap device by the month. Other times, you may be able to secure a personal loan through a bank in order to purchase what you need. Whether you are completely immobile or simply face minor mobility issues such as inability to stand for long periods of time, there are home mobility aids that can make your life easier, more enjoyable and more independent.